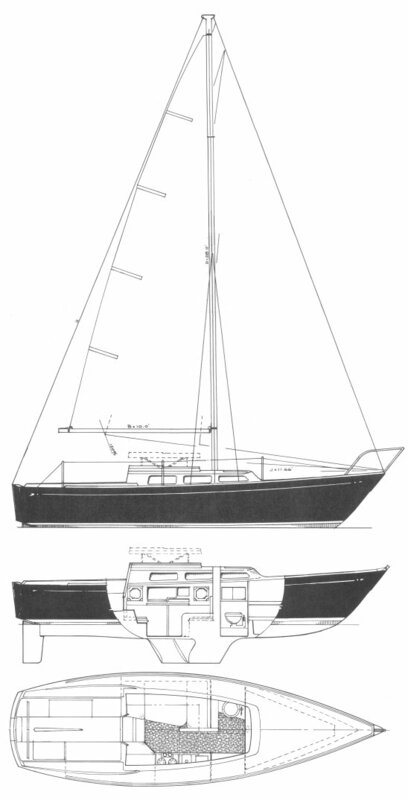 A keel/cb version was also available that usually has a shorter rig. Displacement: 4460 lbs./ 2023 kgs. Ballast: 1800 lbs. / 816 kgs.